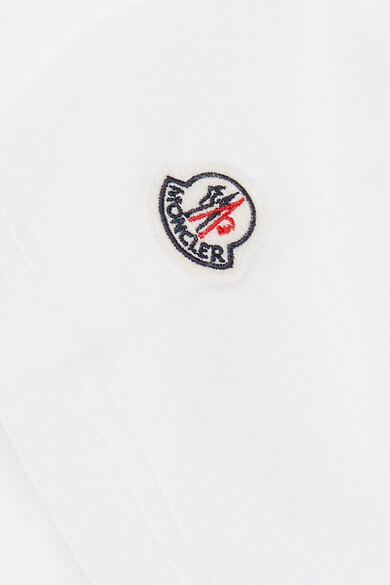 Moncler is continuing to expand its versatile edit with basic pieces, like this classic white T-shirt. 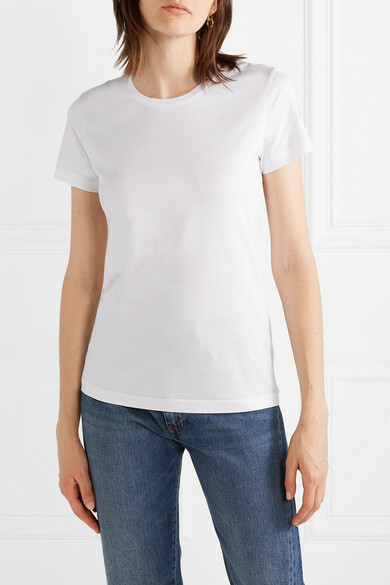 It's cut from soft cotton-jersey in a slim fit and has the label's scaled-down logo on one sleeve. Slip it on with jeans and sandals for weekends spent away from the mountain. 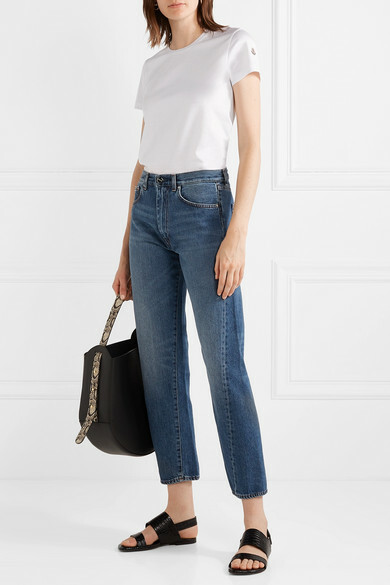 Shown here with: &Daughter Sweater, Totême Jeans, Wandler Tote, Dries Van Noten Sandals, Laura Lombardi Earrings.